A young vibrant band called ‘The Fatangz’ are out there to show you novices, that saying ‘I want to be part of a rock band one day’; to your soap opera facsimile aunt is – perfectly normal. All you got to believe in is ‘unity and will’. 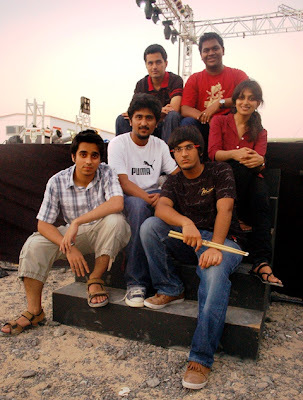 They formed the band in 2009 with a few friends from BITS Pilani Dubai. It comprises of six members; Shyam Murali – Bassist, Aditya Goel - Lead/Rhythm Guitarist, Shishir Subramanyam - Lead Guitarist, Oishik Dey – Singer, Niyati Parameswaran – Keyboardist and Madhav Gupta – Drummer. 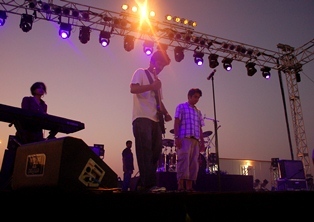 Their first ever gig was on Monday 11th October 2010 at the ‘Follow the Evolution of Rock’ concert in Dubai International Academic City (DIAC). They started the concert with a bang and sustained the audience's enthusiasm with their rendition of the famous 'Ghostbusters' theme song. Their variety highlighted their ability to venture out in alternative music - they can make you one minute head bang, and the other jive and swing to their attributional music. New-fangled students like these are inspirational and give hope to encourage students who are out there to pursue a full-fledged career in music. Fan followers can access 'The Fatangz' on Facebook and their website. guys, u did rock them....JHAKAAS!